Agent Assist Goal Planner allows you to create your financial goals and then implement a plan towards achieving them. There are many features, but once you determine your desired income based on real estate sales and using the unique and patented formula, the program does the rest. You just plug in the average sales price, your commission splits, how many days you want to take vacation, how many days you want to work, and how many hours a day you’re willing to work, and Agent Goal Planner will tell you exactly what you’ll need to do to obtain your financial wealth. Very simple, easy to use, in a very user friendly format. You’ll need Microsoft Excel to utilize this program. 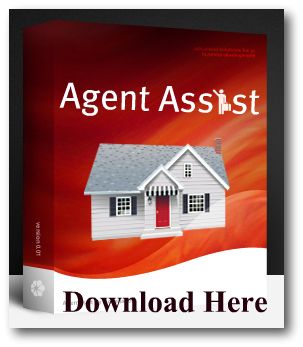 Agent Assist and Goal Planner has been presented and distributed all across America and have helped thousands of Real Estate Professionals reach and exceed their Goals. See why so many Industry Professionals choose Agent Goal Planner to be their “Premier” Agent Assistant! Need to relocate to the area will be stationed at the guard unit there. Looking for a place to live. Dennis- the sheets are protected by password to prevent the possibility of users wiping out important and crucial codes and equations that make Agent Assist run. Many areas of the app can be modified and customized but not the sheets, styles, and formatting. Hi Brad, I’m looking for a spot to plug in appointments, contacts made, etc, I see the farm calculator and contacts and appointments needed to make goal but I don’t see a spot to track appointments and contacts. Am I missing something? Hey Brett – great question. The goal planner is for setting, tracking and staying focused on the financial real estate goals. It allows sales tracking, source of business and other modules but it isn’t a CRM (client relation manager) so I would recommend a good CRM for appts, contact notes etc. If you’re needing to see what CRM’s are available for real estate, (that is if you don’t have a good one already) Check out this post I wrote a while back: http://bradsdomain.com/best-crms-for-real-estate/ also, we use Kunversion at our Brokerage which works great. Another source for CRM investigation is the 1000watt folks, they did a nice list here: http://1000watt.net/index/ hope this helps.